For people suffering from the painful and debilitating conditions of the lumbar spine, undergoing Lumbar Endoscopy for herniated lumbar disc in Spain can be quite helpful as spinal surgeries in Europe such as herniated lumbar disc surgery have gained reputation around the world for being a cost effective surgery performed in the hands of highly specialized orthopedic surgeons. Herniated lumbar disc treatment in Spain is carried out at state of the art clinics that are equipped with world class facilities. 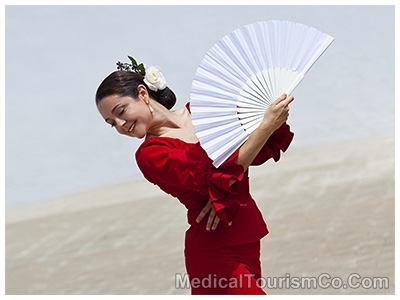 Medical tourism in Spain has gained immense popularity in the past few years. Its excellent healthcare system and low cost medical treatment are the two major attractions for medical tourists from around the world. As per the WHO rankings of healthcare systems in the world in 2000, Spain was ranked at number 7 out of 191 member countries of the global public health agency. Lumbar endoscopy is the latest minimal invasive surgical technique to remove the herniated spinal disc, by making very small incisions with the use of special instruments and a camera. The lumbar endoscopy serves the same purpose as the traditional discectomy, however, in a less invasive manner. Less invasiveness, as only a small incision is made. No use of general anesthesia. Percutaneous Endoscopic Lumbar Discectomy (PELD) abroad has become a common phenomenon, with medical tourists flocking to countries like Spain for an affordable lumbar endoscopy disectomy treatment. Excellent medical facilities in Spain with ISO accredited hospitals. Many hospitals in Spain are accredited with the Joint Commission International. No waiting lists for medical tourists. Cost of lumbar endoscopy surgery in Spain is only a fraction of the cost of the surgery in other countries such as the US, the UK, and Canada. Lumbar endoscopy surgeons in Spain are required to undergo additional years of study before getting the license to practice. Many doctors and surgeons in Spain are trained in the developed countries of the West. English speaking staff and interpretation services are available at many hospitals in Spain. Numerous lumbar endoscopy surgeons in Spain are affiliated with the General Medical Council in Great Britain. Spain has a very well developed infrastructure, with the cities well connected with roads, railways and airports. The country offers a rejuvenating experience to medical tourists who will have plenty to explore while recuperating after undergoing percutaneous lumbar discectomy in Spain. Spain offers a plethora of exciting sightseeing and adventure activities for the medical tourists who flock for a lumbar bulging disc treatment in Spain. One can have a rejuvenating holiday in Spain that combines your medical treatment with a relaxing stay in a beautiful resort. Here are a few places in Spain that you can explore when you travel for a PELD in Spain. Cadiz, the oldest city in Europe with an immensely rich cultural and historical significance. The Museo del Prado, and the Palacio Real at Madrid. Alcazar de los Reyes Cristianos and the Tower Fortress Calahorra at Cordoba. Cathedral de Avila and its museum at Avila. The Alcazar of Segovia at Segovia. For those traveling to Spain for a percutaneous endoscopic lumbar discectomy, here are a few things to be kept in mind. Check thoroughly the credentials of the surgeon you have chosen for the lumbar endoscopy. If possible, talk to the previous patients of your surgeon. 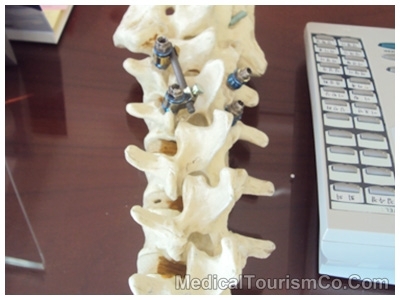 Talk to your local doctor and inform him of your decision to go to Spain for a herniated lumbar disc treatment. Visit blogs and forums on the internet that will help you connect with other patients who have undergone lumbar endoscopy surgery in Spain. Lumbar Endoscopy for herniated lumbar disc in Spain is a cost effective, reliable medical treatment for those who are suffering from a debilitating spinal condition. By combining the surgery with a relaxing holiday in Spain, medical tourists can enjoy the best of both worlds.